The Schoffel Oakham gilet has become one of our bestsellers at Philip Morris & Son, since we starting stocking the brand a year ago, and it’s no surprise really. Made from Polartec® Thermal Pro® 200 weight fleece with an attractive and hardwearing Alcantara trim the Oakham will keep you really warm. 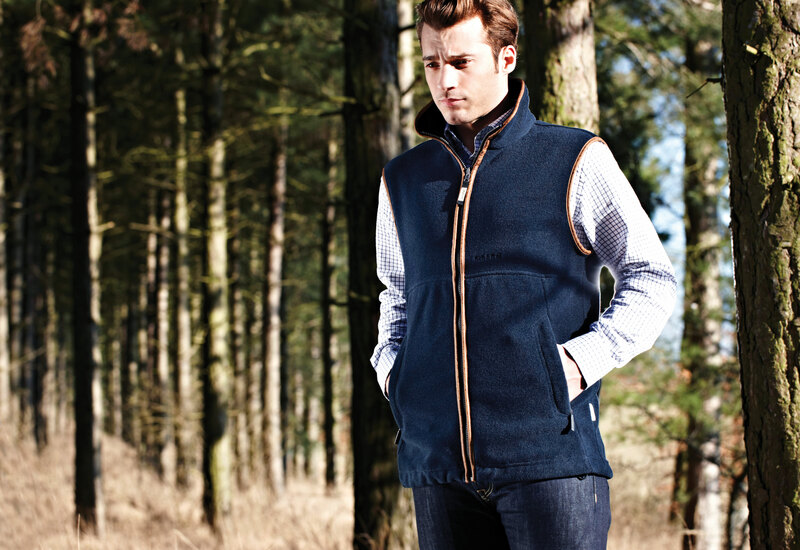 With the popularity of this gilet rising, it is becoming more and more common to see people wearing Schoffel not only in the countryside but in towns too. With it’s blend of style and functionality the wide range of colour options offers something everyone will like, with a choice from the following: Gunmetal, Dark Olive, Denim, Navy, Lincoln Green or Palomino. Features of the Oakham gilet include two zipped security pockets, an adjustable drawcord at the hem and a full zip upto the neck. It is machine washable and even though it is fleece, it is quick drying. 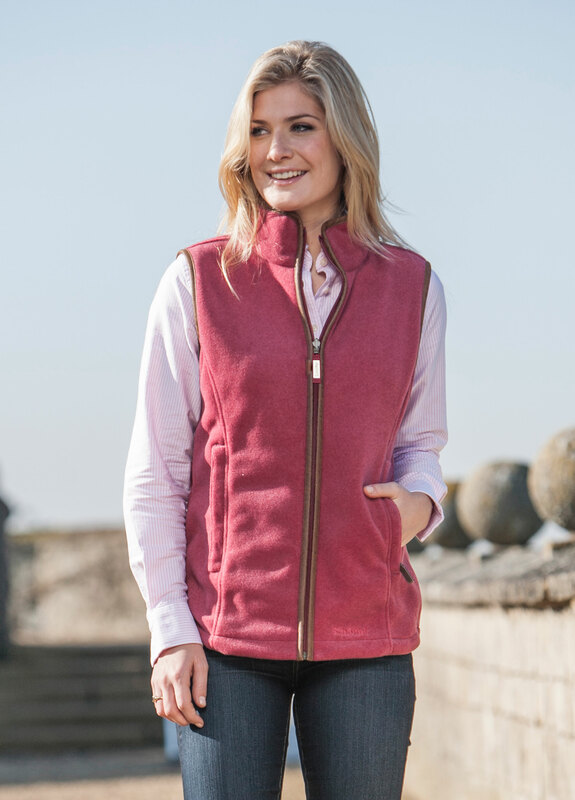 Ladies, if you’re reading this wondering what Schoffel does which is similar for you fear not, the Lyndon gilet is the female equivalent and is just as good as the Oakham. Pictured above in Raspberry, the Lyndon gilet has been cut with a feminine fit to flatter the wearer. Available in Navy, Raspberry, Sage Green and Ruby the Lyndon gilet is just as popular with women as the Oakham gilet is with men. 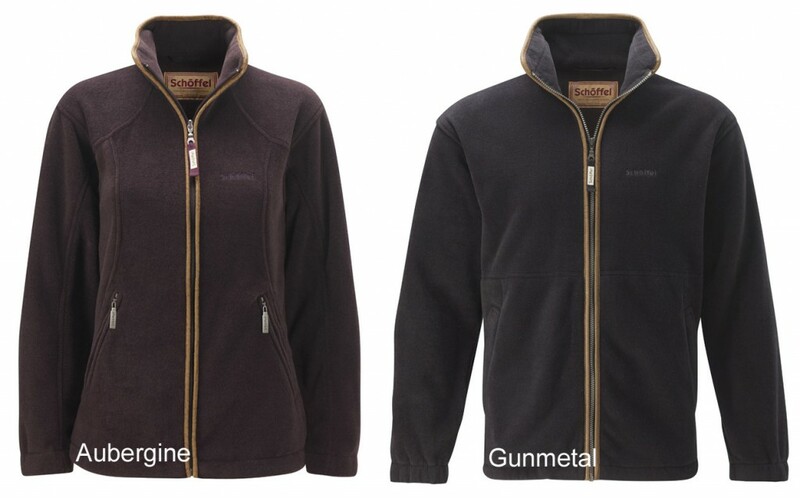 If you’re looking for something a bit more substantial than a gilet Schoffel has produced the Cottesmore fleece jacket for men, and the Burley fleece jacket for ladies. Pictured below the Burley is on the left, and the Cottesmore is on the right. Both made from Polartec® Thermal Pro® 200 weight fleece, each garment has been designed and made with care to offer you the maximum warmth and comfort when worn. Also with a range of colours, the ladies Burley comes in Aubergine or Navy, while for men the Cottesmore comes in Gunmetal, Lincoln Green, Dark Olive or Navy. Whether you prefer the Oakham or the Cottesmore, the Lyndon or the Burley what Schoffel proves time and again is that they make exceptional products which are worth paying for. fleece gilet, fleece jacket, Polartec, Sch?ffel, Schoffel Burley, Schoffel Cottesmore, Schoffel fleece, Schoffel Lyndon, Schoffel Oakham, Schoffel waistcoat. Bookmark. How do you improve on the ultimate game shooting jacket?